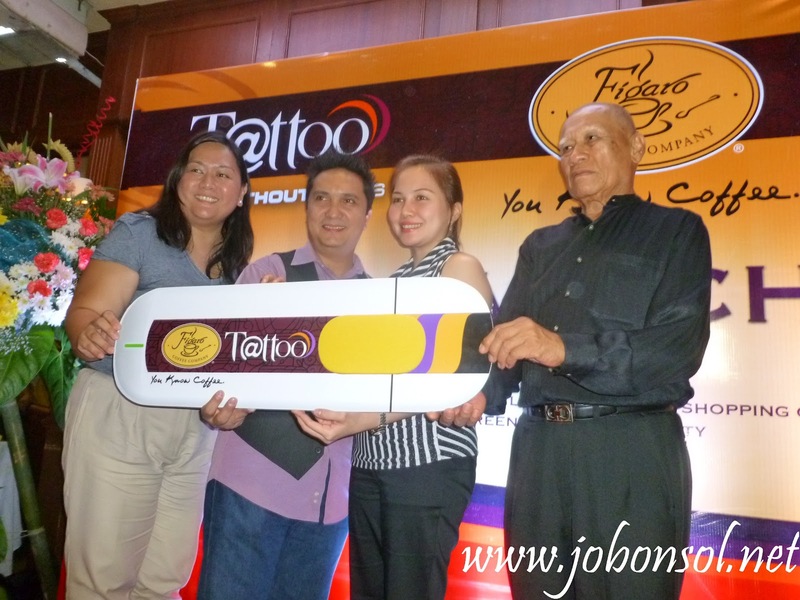 Event: Figaro partners with Globe, get your own limited edition Tattoo-Figaro Sonic Prepaid Stick for free and more! Wonder how Figaro, the first Filipino coffee company offers free Wi-Fi at all branches? Globe Telecom now officially joined forces with Figaro Coffee Company with more ways to sip, dine and surf. 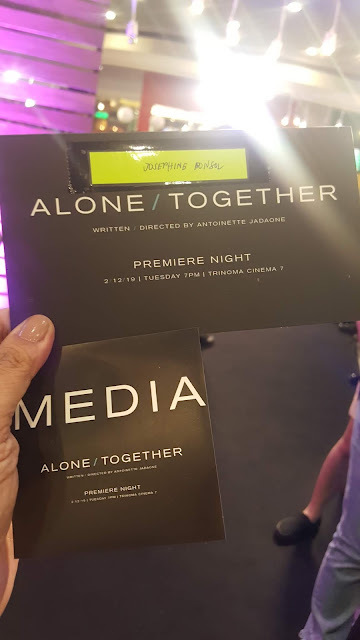 It was another memorable evening last Wednesday at Figaro Greenbelt Makati witnessing the launch of the partnership of Globe and Figaro. 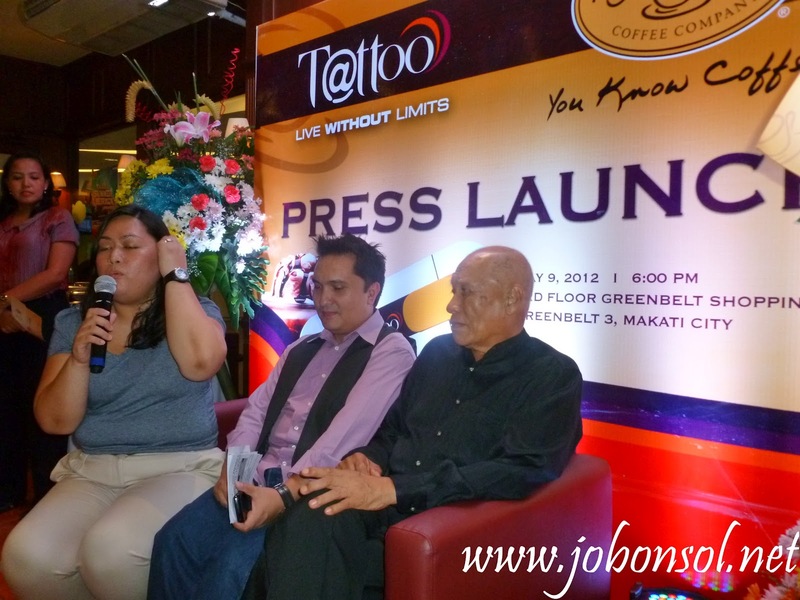 Mr. Mel Verano CEO of Figaro and Ms. Divine Cabreira, COO/CFO of Figaro with Mr. Ding Pascual National Commercial Accounts Head of Globe Telecom with other Globe executives announced the new promos offered at all Figaro branches. Get your own free limited edition Tattoo-Figaro Sonic Prepaid Stick by simply collecting ten stamps from now until August 20, 2012 with every Php300 purchase of food and drinks (each stamp). You can have it in an accumulated purchase or at least an amount worth Php3,000 to get your own free limited edition Tattoo-Figaro Sonic Prepaid Stick. You can also enjoy coffee and more treats at Figaro with every purchase of a Tattoo Explorer Prepaid Lifestyle Stick at any outlet of Complink or Asianic nationwide for P1,295 and get a free, limited edition Figaro Coffee Club Card. 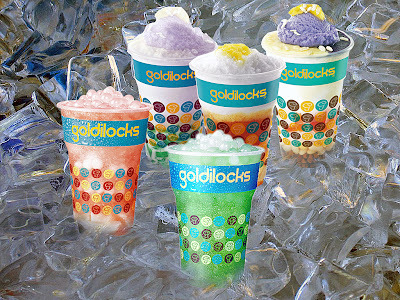 The special card will give the bearer free vouchers for hot and cold drinks, 10% off on every visit with a minimum of Php200 food purchase at any of the 70 Figaro branches nationwide, a mini-birthday cake; plus a limited edition Figaro foldable fan. Globe Tattoo Prepaid Explorer Stick runs at 7.2mbps speed designed for foodies and those who love adventures as it comes loaded with a free issue of Yummy magazine, a 50% discount at selected Red Box karaoke branches, free two music downloads, one year unlimited access to food and travel sites such as munchpunch.com, clickthecity.com, airphilexpress.com, tripadvisor.com and agoda.com. It also comes with "Buy One, Take One" deals at Airphil Express tickets with a limited-time offer. The Globe Tattoo-Figaro Sonic Prepaid Stick runs on 3G at 3.6mbps and comes with free 120 hours valid for 5 days as well as free Facebook access for 15 days. 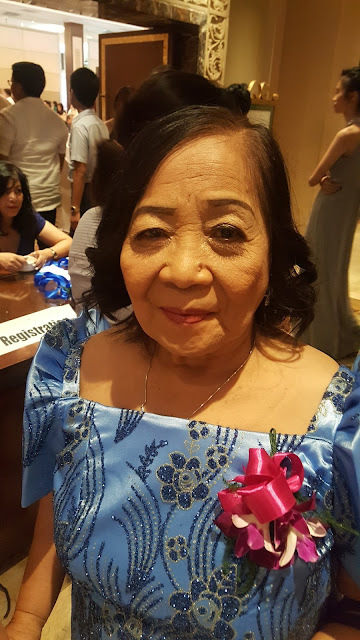 Now there are more reasons to visit Figaro which now boasts of its new campaign, "from crop to cup" emphasizing on corporate social responsibility where coffee beans they use are from the local farmers in the country. 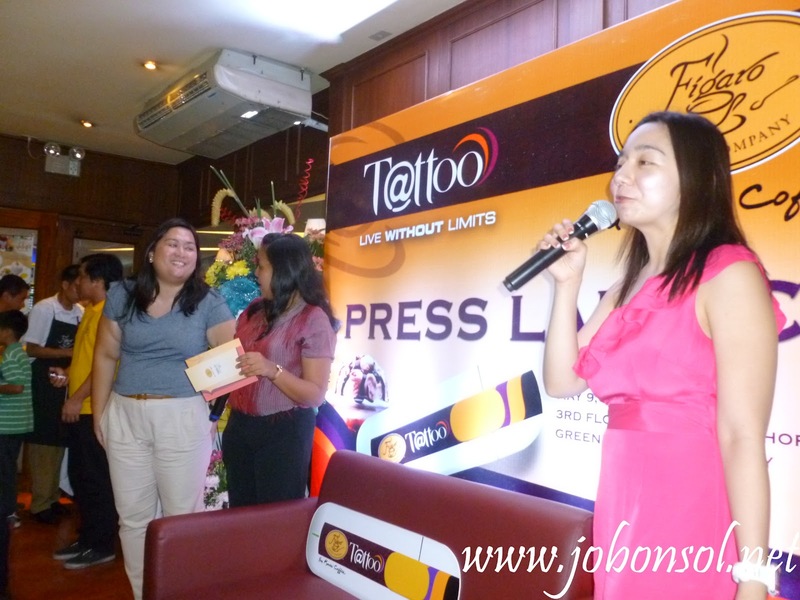 I love that Figaro offers consistently free Wi-Fi and now free Globe Tattoo-Figaro Sonic Prepaid Stick. I will not only be partaking on the delectable sandwiches, pizza, pasta, meals and pastries with my favorite coffee at Figaro, I will also keep those receipts for stamps to get my own free limited edition Tattoo-Figaro Sonic Prepaid Stick. 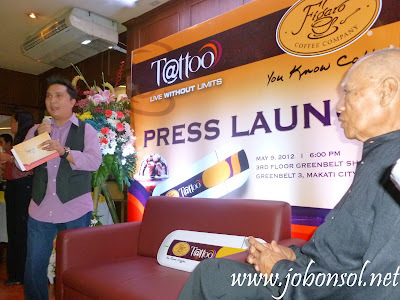 For more information, visit tattoo.globe.com.ph. and outgoing but suddenly chokes around women then there's something that's stopping you. take it personally if someone doesn't show the same interest in you.